Can You Do Your Own Pool Maintenance? Home » Blog » Can You Do Your Own Pool Maintenance? 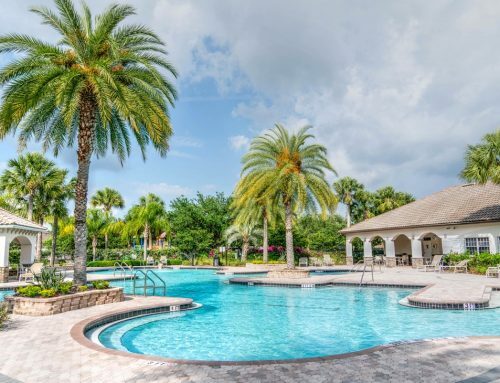 While many St. Petersburg homeowners enjoy the benefits of year-round swimming, they dread the amount of pool maintenance required for clean, healthy conditions. Neglecting your backyard pool’s necessary cleaning needs can leave it vulnerable to dirty water, algae, and other threatening organisms. These organisms are sure to turn your relaxation space into a nightmare! Why Hire A Pool Maintenance Professional? Our technicians will take care of a number of things to make sure your waters are safe and your backyard spa is looking beautiful, so instead of spending your free time cleaning your backyard oasis, you can spend your time enjoying it. What Are The Signs of Contamination? If you’ve been keeping up with pool maintenance without the help of a professional, you may not think your water is unsafe. Unfortunately most St. Petersburg homeowners assume that DIY services are enough and fail to recognize the warning signs that your water may be contaminated. Fogginess: When pH levels are not properly balanced, you will end up with water that is foggy instead of crystal clear as it should be. Discolorations: You may notice when high iron and copper minerals are present because of the brown color they cause, but what about when your water is teal? Sometimes the design of your space can make this harder to detect, but high mineral content can cause teal coloring. Stains: If the bottom surface shows visible stains, you have an imbalance of chemicals. Foam build up: Algaecides can help in killing and preventing the growth of algae. So, it is important to prioritize quality in order to avoid a nasty foam build up. Algal blooms: Poorly kept waters are more susceptible to algal blooms after a heavy rain. Noticing any of these signs even though you’ve kept up with DIY cleaning is a sign that you are doing something wrong. The size of your area. How many people are using it daily. Once we’ve carefully examined your area and usage, we’ll recommend a maintenance package to keep your waters clean and healthy. We have been providing the St. Petersburg community with excellent services since 1959, always staying current with industry trends and using up-to-date technologies. If you’re interested in finding out more about the services we offer, contact us using our online form or give us a call us at 727-531-0473.